Computes the fertile days of the month and predicts future periods and ovulation. 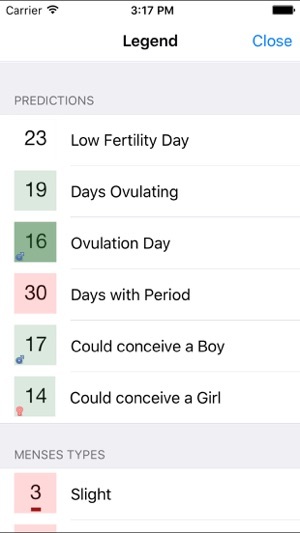 This application also keeps track of events related to your menstrual period, like the menses type, the symptoms, the Body Basal Temperature, etc. - Saves up to 5 different menses types. - Predicts fertile and low fertile days of the month. - Predicts future ovulation and periods. 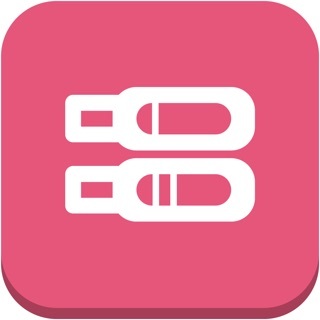 - Saves Basal Body Temperature measurements. 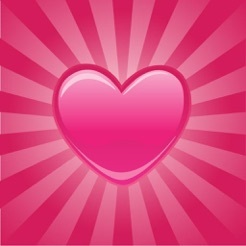 - Saves symptoms related to the menstrual period. - Able to add special notes to every day. - Charts the BBT temperatures entered for better determination of the ovulation day. Our commitment is to satisfy our customers needs, so don't be shy and send us your features requests, we are constantly updating our applications. I've been really disappointed by this app. For $4.99 I'd have expected more. For example, you have to pick your own cycle length- shouldn't the app figure that out for us based on our input? And the options provided are only full days, so someone like me with a 28.5 day cycle has inaccurate predictions for months ahead. For the cost, I would also expect a way to see an overview of symptoms I've noted- maybe a chart, so I can see if I get sad at the same point in my cycle every month. Right now the only way to do that is to pull up each past day with notes one at a time- takes FOREVER. Some education should've been built into the cost, too. 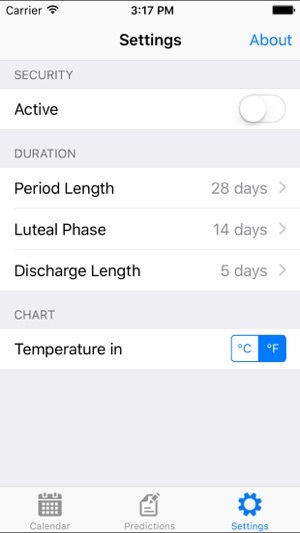 The app asks you to set the length of your Luteal Cycle but doesn't say how to figure that out. Does the average woman know she has a Luteal Cycle, let alone how to calculate it? Not me. I bought this app after reading about it on a blog, but there are other apps out there that cost less and have the exact same features. I would never buy this app again & wouldn't recommend it. 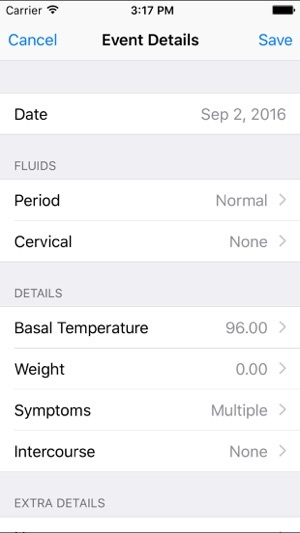 It is more expensive than other apps that actually allow you to record what happens with YOUR body. I agree with the review below--unless you have an exact cycle that is perfectly timed (and why would you have a need for this app if you did??) the app won't let you enter information & gives "error" messages. For instance--an irregular period. It gives error messages and won't allow me to enter intermittent bleeding, or if there are legitimate missed periods it gives error msgs every time you enter the start of one. 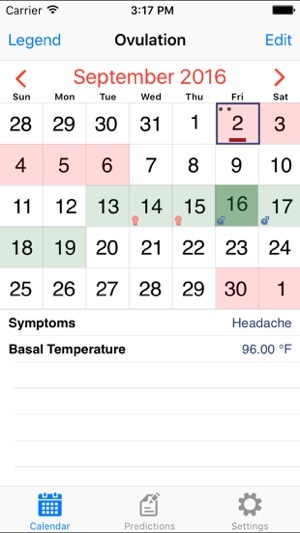 Bottom line: I could use a regular calendar in my iPhone to do what this does. Total waste of $5. And I've purchased an app that a friend uses that allows me to truly track MY cycle details without giving error messages because I'm not perfectly regular. Used this app in 2008 and became pregnant with in five months. Now I have a beautiful six month baby girl, we are trying again so of course I reintalled this app sence it came in handy last time and I'm alittle disappinted with the new upgrade. I liked that when you commented on a date each topic had a different icon so without actually selecting the date I knew what I input there. 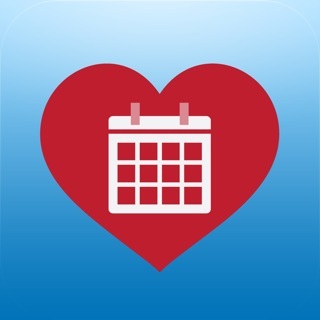 Other than that it's a great app and it has already been useful for my first cycle. © 1986-Present by Dynadel. All rights reserved.